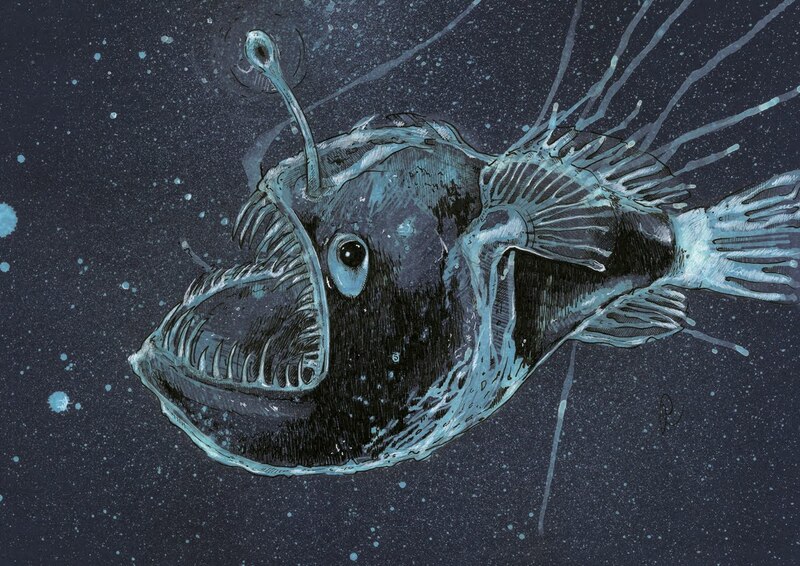 The angry-looking deep sea anglerfish has a right to be cranky. It is quite possibly the ugliest animal on the planet, and it lives in what is easily Earth's most inhospitable habitat: the lonely, lightless bottom of the sea. I tried to incorporate its fearest characteristics through a bleach and ink drawing that is full of expression.